How to Choose a PAT Tester? Portable Appliance Testing (PAT) is extremely important for anyone who runs a business that uses electrical equipment and devices on a regular basis. As all employers have a duty of cate towards the health and safety of all employees, ensuring the safe working of all electrical items within the workplace is of vital importance for everyone involved. However, there is often much confusion surrounding PAT testing and one particular question that many employers often ask, is that of which type of PAT tester would best suit their requirement? Well the answer to this is a varied one, as this very much depends upon the type of business that you run and the equipment that you need testing. Budget will also play a major role in the type of PAT tester that you choose to buy. What is also important to consider is that if you need to record the results of the test, and if a large amount of industrial equipment, that is over 110v needs to be tested, then you are probably best getting in a fully qualified PAT tester to ensure safe and reliable testing. What are the different types of PAT tester? With so many PAT testers out there to choose from, it can be difficult to know which is the right one for the job, you can see a full range on this site. Below is an outline of the most common types of PAT tester currently on the market. This type of PAT tester is the most basic and will not give you full detailed results. However, it is the cheapest. What you get with this tester when you test your portable electrical device is either a Pass or Fail result. Therefore, this type of tester is most suited for those who simply require a basic PAT test, or require a test to be done quickly. The downside with this type of test is that there is no internal storage and full findings are not given. This is the next step up on the ladder, with this PAT tester showing full results on its display, as well as a pass or fail result. These type of testers are usually still quite cheap and have a simple user interface. However, test parameters can sometimes be a little limited. 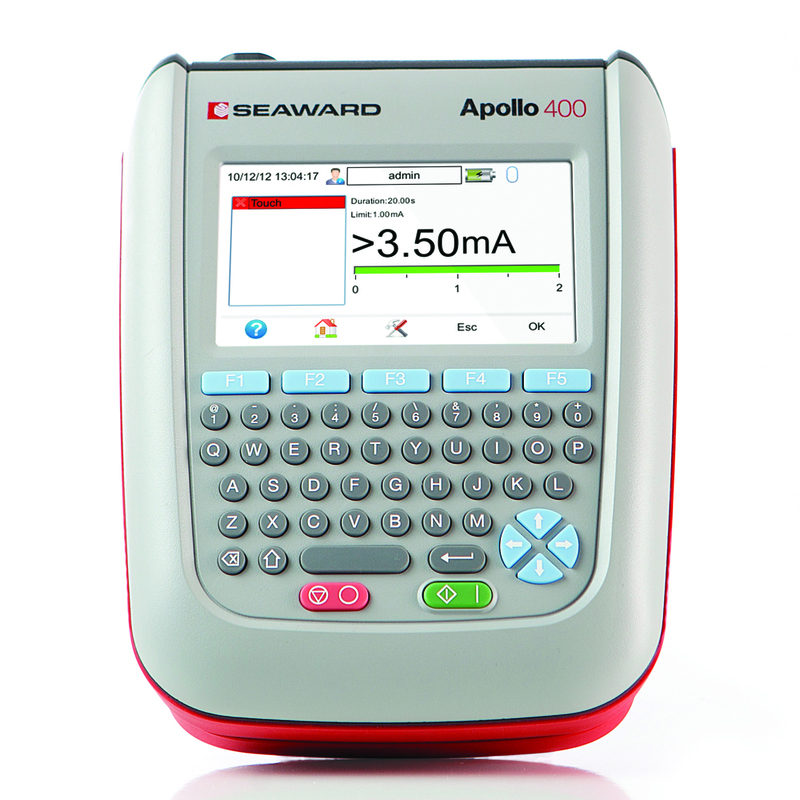 Examples of this type of tester include the Seaward Primetest 100 and the Martindale HandyPAT 600. These PAT testers are middle of the range and require the user to have some basic knowledge of PAT testing, how to perform the test correctly and of how to interpret the results. Therefore, if you have no or little training, this type of PAT tester is best used by a qualified PAT tester. This is because levels are shown on screen and you need to know how to interpret these levels correctly. With this type of tester, you cannot download data. This is the high end of PAT testing and obviously is the most expensive. It has many advantages that include a full LCD screen, a QWERTY keyboard and internal storage. This PAT tester also allows you to connect it up to a laptop in order to download the test results onto software. Full results are displayed and results are highly accurate. So which tester should I choose? As already mentioned, this very much depends upon your budget, size of business and what equipment needs to be tested. However, if you requite a lot of electrical equipment to be tested, then there are a number of starter kits that are available, that include the PAT tester, full instructions and associated software. What is important though is that you are confident in using the test equipment, and to be on the safe side, if you are testing large amounts of electrical equipment that is of high voltage, you are always best getting in a professional PAT testing expert. What is PAT testing and why it is needed? Basically PAT testing is a specialist test that is carried out on portable electrical devices and equipment. This is to ensure that they are safe to use. Although visual examinations of equipment are always useful and recommended, some faults and defects can only be detected by carrying out a PAT test. The Electricity at Work Regulations 1989 Act, states that all electrical devices and equipment that has the potential to cause injury, needs to be safely maintained. There are no time limits set by law on how often equipment needs to be tested, but what needs to be taken into consideration is the type of equipment and the environment in which it is in. Many manufacturers also recommend regular testing of their equipment and this should be adhered to in order to ensure safe working conditions. How Installing Good Humidifier Makes Your Home Healthy?